Summer is a season of adventure, in and out of your clothes. We are in the midst of summer 2016; it has been a long time coming and finally a season where most of us thought the days of sun and surf would never arrive. Sun-kissed hair and salty skin mix with cold drinks and flirtatious passersby every night of the week. This is a season of adventure, in and out of your clothes. Summer 2016 sees travel – to faraway lands – with some of today’s hottest designs. Men, you are up first. Think jet-set! Flirty, fast and fun. On the top, you are light. Cotton or linen button down shirts don your chest and arms. Pinks, salmons, cremes and whites are all the rage. Mix and match patterns of shirts with solid-coloured bowties. Think nerd sheik. If you would like to layer, consider investing in a timeless piece such as an air brushed suede, solid-coloured jacket by Canada’s own Christopher Bates. These jackets are great for travel because they are easy on the eyes, and do not have to be ironed or well kept at all times. Throw one over your shoulder, tie it around your waist for an afternoon airport cocktail, or throw it in you carry on bag. Easy and breezy. On your head, you will sport straw fedoras. They are also light, and also mean you can get away with a messy hairstyle or longer, more un-kept hair. It is the summertime, so do not worry too much about the lustrous locks. If you are a man who likes to look and think young, run to your local jeweller or department store, and buy an anchor bracelet or two. Layering bracelets is very fashion forward at the moment; you will look like you are a true island traveler set for exotic lands. You cannot go commando down there, so invest in a pair of rolled up vintage safari shorts. Crème coloured, khaki coloured or brown will suffice just fine. Make sure the length is short enough to look mature, but not too short; understood? On well-kept feet, do not wear socks. You do not want to come off as too touristy. 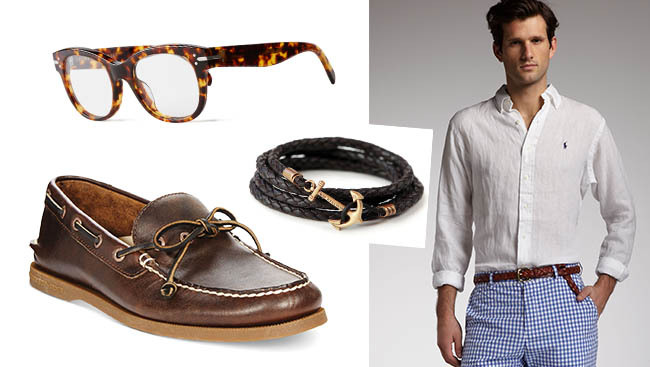 Invest in a pair of Sperry Top Siders – blue or classic brown. Now it is time for the ladies to make a go of it. Flowy, sheer red rose printed blouseswould look best for a long flight, mixed with a boyfriend style chino pant and some rope wedges. This look says “freedom and ready for some summer fun”. If you prefer to be less stressed when you dress, consider buying a floral printed baby doll dress by Canada’s own Mercy. Form-fitting fabric takes on a lift of its own with their designs. Pair up a Mercy dress with the same style of rope wedges. Also on the top, wrap yourself up in an extra long, extra light summer scarf. The best things about sporting scarves are that the knot possibilities are endless. You do not even have to tie it up for it to be fashion forward. And if you are really feeling ambitious, a scarf can double as a designer-esque belt in jean belt loops. On the bottom, sport baggier denim shorts. All kinds of washes and designs are up and coming this summer of 2016. The baggier the better, trust me. Your baggy shorts will pair nicely with a swimsuit or bikini top. Think freer like you did 1980s or 1990s style. As an accessory, invest in an oversized khaki-coloured canvas bag. This kind of carry-on item can be easily organized into compartments for makeup, sunglasses, electronics and summer reading. Just make sure it fits the EWA’s travel parameters. Another accessory is a timeless pair of gold aviator sunglasses or tortoise shell sunglasses. Do not break the bank if these are not laying around your home; your local department store should carry either one of these aforementioned looks. Finally, try not to quaff as much as you would during other seasons. Live freely, live like a true summer girl. Makeup should be lighter – gold tones and natural hues. And put your hair up in a messy bun. You will be best to travel with the best of them. 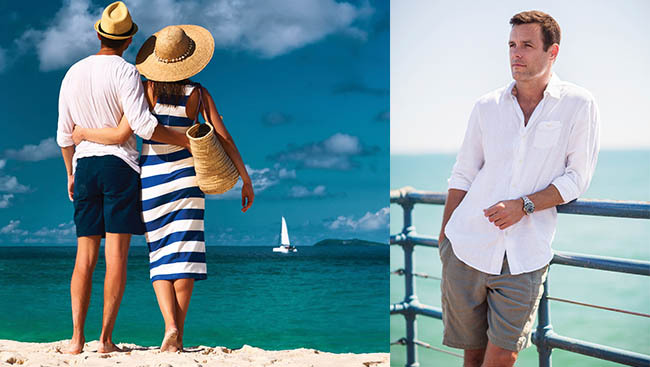 How do you dress to impress while traveling? I’d love to hear from the inner jet-setter in you. There is a new feeling in the air; it is not the stale, chilly feeling of a lazy winter, but a fresh start. Spring is almost over, and well, summer is around the corner.